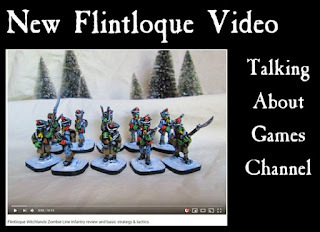 A new Flintloque video from Talking About Games (TAG) channel. This time all about Zombie Line tactics and use in the game. Click through to watch the video and to learn more. Later this week we will be making our Flintloque and Slaughterloo release for the month with a brand new unit of elite skirmishers so keep an eye out for this. Thanks! Don't Zombies just shamble forward.